The Ashland Youth Soccer (AYS) mission is to teach children of all backgrounds and abilities the game of soccer through the development of individual skill, fitness, teamwork and fair play. Please contact us if you would like to seek out an opportunity to volunteer with us. Please feel free to contact the AYS Registrar at if you have any additional questions. Due to the heavy rain over the weekend and heavy rain expected this afternoon/evening ALL grass fields will be CLOSED today. They will reopen tomorrow (Tuesday - with the exception of Briasco which will reopen on Wednesday). 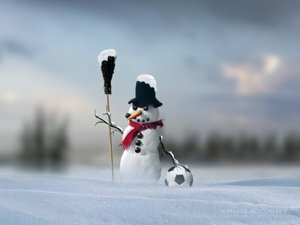 As the last leaves have fallen from the trees and snow has already appeared, another soccer season comes to a close. Families and players were challenged this past fall with all the rain and cancelled games. Hopefully you have some wonderful winter programs to keep your child active over the winter. Many thanks to the individuals and organizations that made the 2018 Ashland Youth Soccer another season of success from start to finish. A HUGE "thank you" to the players and their parents for their participation, coaching and organizing. Have a wonderful winter, Happy Holidays and look forward to seeing you all in the spring of 2019!